Because you are the right mom for your kids. 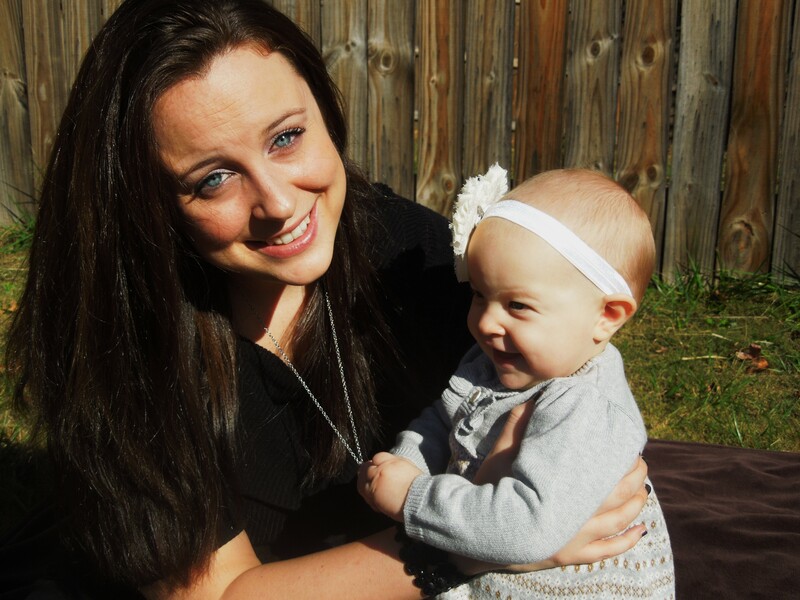 Today we welcome first-time mom Kelly to the blog. She brings the perspective of having been inundated with what she feels were inaccurate and unfair “warnings” about pregnancy and motherhood, usually via sarcasm or joking. She and I talked long and hard about this post in its original form, as I had personally experienced the other side of the coin. I feel no one really properly prepared me for the challenges of motherhood or talked about the practical, physical, and emotional difficulties they had endured. Sure, more people than not claimed to have hated pregnancy- that seemed to be a p.c. topic of conversation…morning sickness, stretch marks, heartburn, the whole bit. But, no one told me how life-changing, particularly for a woman in her 30’s with an established lifestyle and career, shifting gears into mommyhood would be. After discussing PPD and the other challenges that Kelly and I both faced, we agreed that she should present both sides; for what better way to prepare a mama than to be honest? Thanks, Kelly, for your flexibility with your post, and for presenting a balanced perspective on new motherhood for the readers. I love how you’ve captured how the joys and challenges of parenting are equally matched for most mothers. “Juuuuuust wait”… LORD how I hated that my ENTIRE pregnancy. It quickly became my biggest pet peeve. People made becoming a parent sound awful. Yes, I’m a first time Mommy; as I often say “I’m new!”, so yes, I’m learning as I go. I truly wasn’t prepared for all the negativity, sarcasm, and just flat out rudeness people threw at me. My hormonal pregnant self had a harder and harder time biting my tongue the more pregnant I got. I would hear…. Those are just a few of the many I heard during my 9 months of pregnancy. Facebook, emails, face to face, at my baby showers….so frustrating. Why not be positive? As if being a new mommy, first time pregnant woman isn’t enough. As veteran mommies, why not take us newbies under your wing and be encouraging? I know personally, I WANTED to be pregnant! I wanted my baby! So for people to talk so negatively just drove me nuts. Why can’t everyone just be excited with me, for me, and celebrate!? Your life will change in an amazing way when your little one comes in to this world. The changes are good, scary, frustrating, funny, all of the above. There is most definitely an adjustment period. You will feel like Wonder Woman (or Captain America) after giving birth, whether its naturally, with drugs, c-section, etc. You’ll also feel like your body is broken, and has been run over by a truck…twice! You will love this tiny human like you’ve never loved anything or anyone in this world. And on some days (more likely, nights) you may want to pull your hair out and wonder how something so tiny can cause such a ruckus. Baby will cry, and sometimes you’ll cry right along with ‘em. You will all of a sudden be a Mommy, you just wake up one day, and it happens- people aren’t lyin’ when they say it’s a natural instinct. On the other hand, some women (myself included) suffer postpartum depression or other postpartum disorders so that might prevent it from happening right away, but it will happen. Suddenly poop, pee, puke, drool…does not phase you. Although some days they will totally gross you out- especially in the beginning. Seriously people. Shut it with all these crazy annoying negative “Just Wait”s and let’s be happy. Pregnancy is hard enough with out adding that little gem on top of it. Babies ARE a blessing. And why scare the bejeezus out of a new mama? 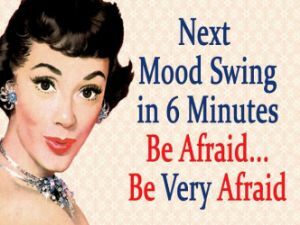 I think new moms bring enough anxiety and fears on to themselves through out their pregnancy- they don’t need help in that department! Yes there will be some hard, not-so-fun times. There will be nights you cry your eyes out, days you’re too tired to even consider showering. I’m not saying sugar coat everything for new moms and tell them its going to be this Brady Bunch Perfection, because that’s just a flat out lie. I’m just saying, be gentle. There is no need for the sarcasm, snotty remarks, and negativity. Be honest, but in a loving way. Kelly Rickels is 26 years old and mother of one! Her baby girl is 15 months old, and her husband is her middle school sweetheart. She blogs and works full-time from home. I could not agree with you more! I was anemic and exhausted throughout most of my pregnancy. Instead of offering support, people just laughed and gave me the, “Oh you think you’re tired now? Just wait!” As it turns out, I am far less tired now that my baby is here. Now that I have an infant, I hear a lot of, “Oh you think this is tough? Just wait until he’s a teenager.” Whatever a mom is going through is very real to her at the time. Let’s respect that instead of downplaying it or trying to scare her! I love this! Couldn’t be more true! I think people just focus too much on the negative. I disliked most when people would offer up advice when I was pregnant this last time. . .with baby number four! I would nod and smile, but what I was really thinking was hey lady, I WANTED this baby, I plan on enjoying every little thing about this pregnancy, no matter how negative it may seem. Pregnancy takes such a small amount of your life and gives such a huge reward. If only the ladies who’ve been there and done that would just let new moms enjoy it without scare tactics and negativity! So glad you guys liked the post! It was one of my biggest pet peeves while being pregnant. We worked hard for this baby, suffering from a miscarriage before finally having a successful pregnancy. Then to get nailed with all this sarcasm, joking, harsh remarks- it just drove me nuts. Yes motherhood is hard, pregnancy is hard, labor & delivery is hard– but its worth it, we get through it, its what our bodies were made for! Even suffering through PPD shook me to the core. People would tell me “its just baby blues, its hormones you’ll be fine”. No one understood and I felt trapped inside my head. I needed love and support! things are hard sometimes, life is hard. Like I said- don’t sugar coat it, but maybe show support in a loving HONEST way. Thanks Meagan! Sounds like we did have super similar situations. its tough huh? just makes us stronger mommies in the end. I remember sinking deeper in to the PPD because I had had a miscarriage. Like ‘ what is wrong with me? I should be grateful and thanking my lucky stars” it just made it worse. Its hard all around. People telling me it was hormones or baby blues truly drove me nuts, like you I knew it was much more than that. Thanks Kelly! As a dad of five, I get my own brand of comments; “wow, you’ve got your hands full!” Grrr… I try to answer “I know! It’s awesome!” Or “you know what causes that, don’t you?” Like it’s some kind of disease having kids. Well, I love being a dad. Yeah, it’s hard and it’ll break your heart, but what – we’re supposed to avoid anything challenging? Not on your life! My “dadhood”, my kids, are the most precious blessing in my life; a gift from God, custom tailored for me and my wife. Bravo on the article! Atlanta Mom For moms by an Atlanta mom- join me! What kind of mom are you, anyway?